Learn how to use your rod and reel to catch yourself some supper in Final Fantasy 15. 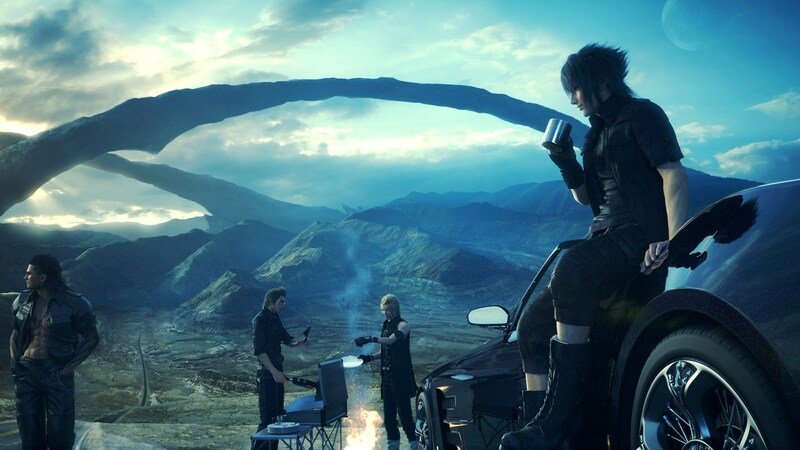 Final Fantasy 15 has finally arrived, and with it comes a slew of new quests, activities, and events to take part in. Many of the activities that can be completed relate to particular skills that are only available to specific members of your party. Today we’ll be showing you how to fish, and make use of Noctis’ primary skill in Final Fantasy XV. Fishing is an extremely lucrative activity in Final Fantasy 15. Not only can you gain AP from fishing, but you can also catch special ingredients that Ignis needs to cook dinner for the party when you camp at campgrounds or havens. To get started fishing all you need to do is head to a Fishing Spot, and activate the mini-game associated with fishing. For the most part the mini-game is straight forward. You follow the prompts on the screen, and wait for a fish to bite at your hook. When it bites, continue following the prompts to pull it in. Make sure you don’t break your line, though! Like anything practice is key to becoming better at fishing. It isn’t an RNG style system, either, so the better you get at it, and the more you understand the system, the better you’ll become at tossing out your line and nabbing a big one. So, don’t be afraid to settle down for a day and spend a good few hours trying to catch some fish. If nothing else, you’ll have ingredients for dinner that day, or even a way to make a few extra Gil. Before you can fish, you must first find a Fishing Spot. These are special areas around the world that Noctis can interact with to allow him to cast his line and catch various fish. The first one of these prime spots can be found in Galdin Quay, during one of the main story quests for Chapter 1. Head to the ferry resort and hop out of your car after Ignis parks it. There is a long walkway that leads out to the actual resort. The area you want to approach, however, is the beach to the right of the area. Head down the steps and onto the beach. You should spot a shorter dock with a shack at the end of it, just before it reaches out over the water. This is a fishing pier, and the first Fishing Spot that you’ll find within Final Fantasy 15. Head to the end of this pier and press X or A to start fishing. That’s all you really need to know to get started with fishing in Final Fantasy 15. You can return to our Final Fantasy 15 walkthrough, or find out how to get all the classic Final Fantasy albums included in the latest iteration of the series.